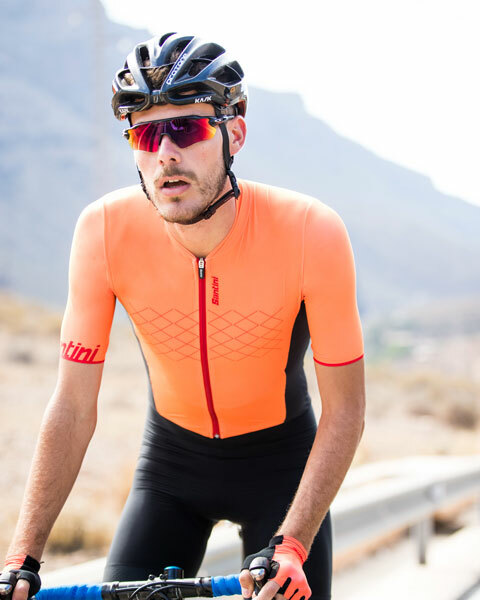 Santini Cycling Wear has released an improved REDUX family of ultra-lightweight, ergo-aerodynamic cycling performance clothing for 2019. Created in our Bergamo factory from all Italian materials, REDUX 2019 takes what was originally an experiment to push the envelope of what’s possible in a cycling kit, and elevates it to a new level for a new season. 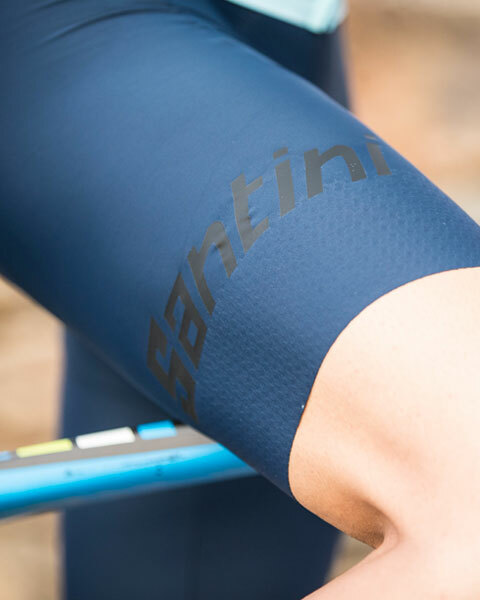 Santini’s REDUX road line was originally inspired by a new woven fabric called Prey that offered greater weight reduction, thermal-regulation, and friction/drag reduction than the knitted fabrics typically used for cycling clothing. By adopting some of our most-advanced clothing-construction techniques, like laser-cut, concealed rear pockets for a reduced aero profile, and thermo-sealed seams, we fully exploit the innate super-elastic and compressive nature of these fabrics. This, plus a pared down design for a super-clean aesthetic, resulted in the streamlined, ultra-high-performance family of cycling clothing that now sits at the very top of our product line. The REDUX road family is comprised of a two-piece cycling kit and a one-piece speed suit, and accoessories. The jersey is ultralight and breathable. Aerodynamically cut and utilizing heat-sealed seams that guarantee a body-hugging which that optimizes air flow around the body. Made from Prey fabric with Flow inserts, the REDUX jersey is stretchy and exerts a gentle compression, reducing drag even during high-speed training sessions. The rear pockets are made with a virtually invisible, laser-cut, heat-sealed openings that lay flat when riding. For the matching bottoms, we shift to the use of Thunderbike fabric and a silicone-dotted leg gripper to create bibs shorts hug the body without restricting movement. We also reduced stitching to an absolute minimum to keep the profile clean. We then added the innovative C3 chamois, which is designed with a molded surface of different densities and gel inserts to cushion the sit bones. The speedsuit is a blend of the cycling kit. Perfect for time trials and fast road rides, the suit is extremely, light, aerodynamic and, of course, breathable. Wind tunnel-tested, the REDUX speed suit was specifically designed to cut drag to a minimum. Just like the jersey, the speed suit features heat-sealed sleeve cuffs and invisible, laser-cut pockets. The lower half is made from Fitter fabric and also includes our innovative C3 padding. All three pieces feature a design using an X symbol, which stands for REDUX. Check out the 2019 REDUX road collection.